Welcome to the “merry” month of May. The month is starting out a tad gloomy with rain falling throughout the state. We are working full steam ahead despite the weather as we have no less than 7 truckloads of plants arriving in the next few days. All kinds of beautiful annuals are filling our benches just in time for you to gather a lovely collection of plants for your mom or grandmother or favorite aunt this weekend which is Mother’s Day! 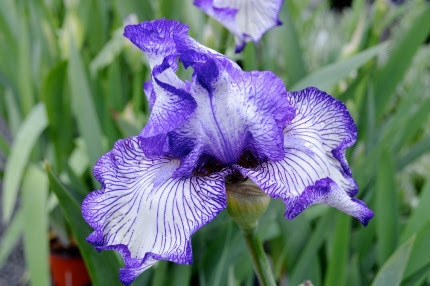 Perennials galore are also arriving along with lots of hydrangeas, roses, irises, peonies, clematis vines, and other old fashioned favorites that your mom would love to see added to her garden. should bring your mom up for a fun day this year. 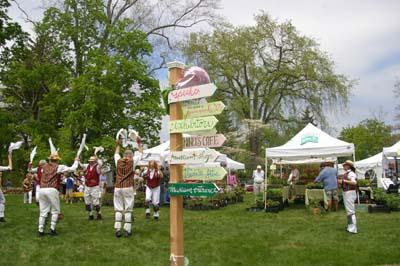 There are Morris Dancers, newborn lambs, museum tours, delicious food vendors, and tents filled with plants and crafts and gifts. The information about this May Market can be found below. mother. Her birthday is May 6th so Mother’s Day was always the Sunday following. I would go up to West Hartford and clean up her flower garden in the front yard. 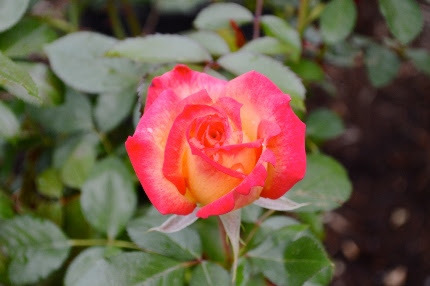 Each year I would plant a rose bush and feed the rest of the roses and perennials that I had added over the years. I also planted a pretty pot of annuals for the back steps. We then had birthday cake and celebrated. How I miss those days that finally ended in 2007. Every year I would plant a rose bush for my mom on Mother’s Day. It is a lovely tradition for our customers to bring their mothers to Natureworks on Sunday. Many of our employees working on that day are also mothers. It is as special for them as it is for our visitors. We find families wandering through our gardens, taking pictures, sitting on the benches surrounding our peace pole, and relaxing while browsing our benches that are stuffed to overflowing with truly wonderful plants. 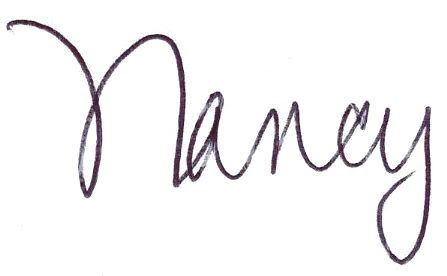 We can have a gift certificate waiting for your mom- she will be so surprised and delighted! All moms who visit on Sunday can enter to win a beautiful hanging basket. You can also call in advance and order a garden basket filled with old fashioned perennials, organic herbs, or annual flowers that we will ceremoniously present to your mom when you arrive. 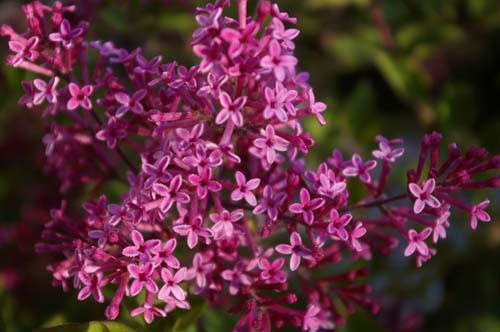 Lilacs and Scotch brooms are two flowering shrubs that always bloom on Mother’s Day weekend. I have old fashioned lilac shrubs that reach my second floor bedroom window- heaven! I love to fill a vase with these intensely perfumed flowers. Last year I discovered what I consider to be the most fragrant lilac of all – ‘Red Pixie. The flowers are a really deep, rose pink and smell amazing. The plant is compact, reaching only 6-7′ tall and 6’ wide. At the Hill-Stead May Market in 2015 we had people fighting over these plants! 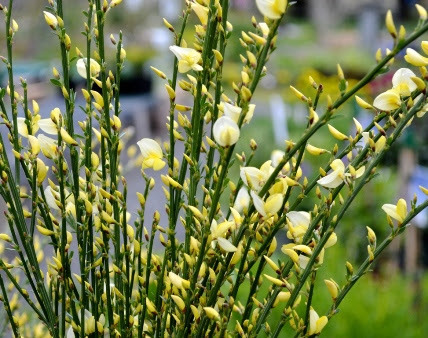 Scotch brooms are another really fragrant shrub. They love hot sun and well drained soil. Being a legume (in the pea family) they do not need a lot of fertilizer. The more you cut them the fuller they grow. The stems are evergreen and I use them in arrangements during the winter holidays. 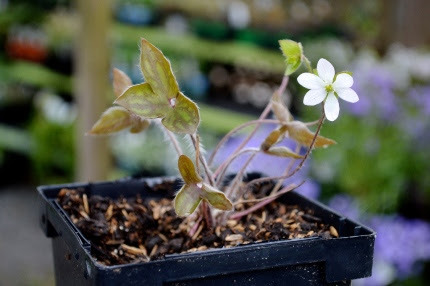 Have you ever walked in the woods in May and discovered a stand of Hepatica’s in bloom? garden. For full sun we have nice Baptisias as well as Echinaceas, Rudbeckias, phloxes, and asters to name just a few. This week we are revealing a new native plant display for full sun, dramatically increasing our native plant offerings in the process. The rain has created the perfect situation for seeding your lawn. I mentioned a few weeks ago that my husband is now in charge of our lawn. He has been dutifully studying Paul Tukey’s book The Organic Lawn Care Manual and has yet to actually spread the compost and topsoil and put down the seed and straw in the many bare areas we have in our front yard. This is his week! He finally has asked me to bring the supplies home and Mother Nature is cooperating by supplying these deep soakings that will prepare the soil to accept the seed quite nicely. 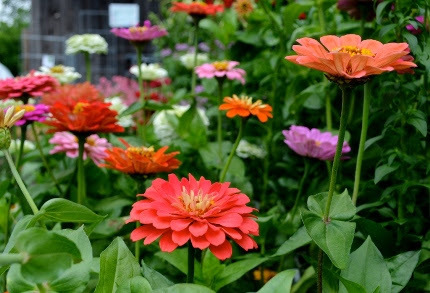 Zinnias, cosmos, sunflowers, morning glories.. our warm season flower and veggie seeds have been restocked! plant them out at the end of May. I tend to direct sow them mid-month and beyond. 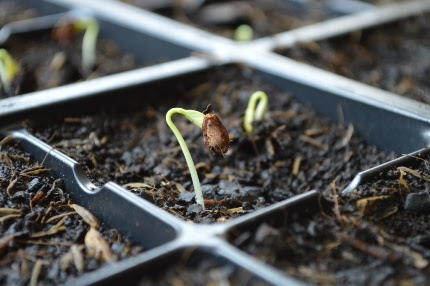 By then I will be seeding into my veggie beds: beans, squashes, cucumbers, pumpkins, melons, and a lot more. We have restocked our seed racks and are ready for this next phase of planting. Rain or no rain, spring continues merrily along. Don’t let rainy days get you down. Take advantage of them to come shopping! As this pattern of wet weather breaks, you will be totally ready and organized to get out in the garden and plant to your heart’s content. P.S. We have just restocked our Repellex Systemic. This wonderful product will provide protection against voles, deer, squirrels, rabbits, and many other varmints for three months. It makes them taste like VERY hot pepper. It must be applied as the plants are growing, which is right now. I just applied it to my Phlox paniculata ‘Blue Paradise’ and a few of my more vulnerable shrubs in my “lower forty” that the deer have devoured in the past.